Everyone loves a roast potato, especially one that’s crispy on the outside, whilst nice and fluffy on the inside. They become Even better when you add an extra hit of flavour such as smoked paprika, garlic or rosemary. 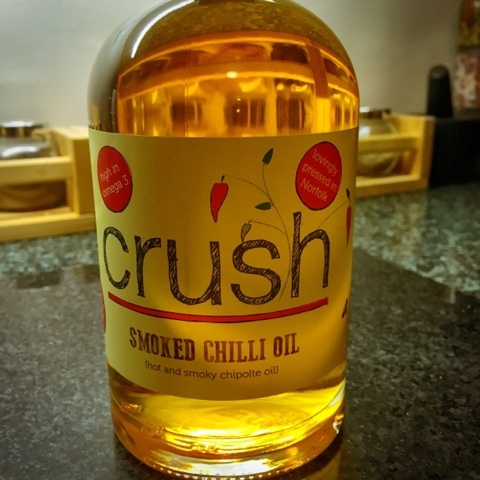 So when I was sent a new rapeseed oil by Crush Foods, the Smoked Chipotle Chilli Oil, it just screamed out roast potatoes. I used to use a variety of potato called Jelly, but now find these impossible to find, so rely on the trusty Maris Piper. Peeling and cutting into a good roast size, I par boil for 10 mins so they are slightly cooked. 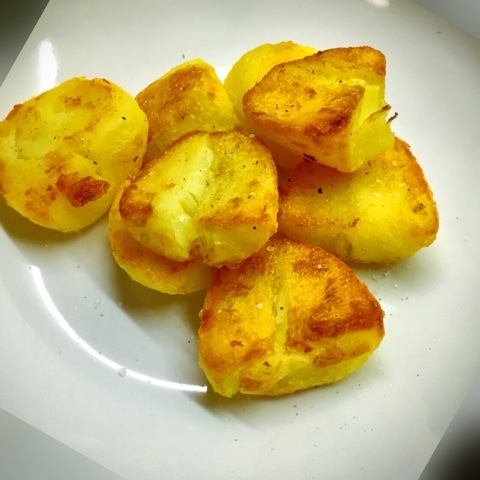 I use a sieve to toss the potatoes back and forth between the seive and the saucepan, this creates a fluffy exterior to the potatoes which crisp up and add to the final texture of the Roastie. Whilst allowing the potatoes to fully steam dry, I add the Chilli Oil to a roasting tray and heat to 180 degrees. When the oven is at the desired temperature I remove the tray and place on a hob that is on low. The trick is to keep the oil hot while adding and turning the potatoes, the sizzle and aroma at this point is priceless. I cook the potatoes for 30-35 mins, turning every 10 mins, each time on a hot stove top to keep the temperature high. When they are golden and crisp, dry on kitchen towel and serve. This oil gives the potatoes a slight smokey flavour with an added chilli bite – a perfect match.